So you’ve decided you want to outsource your live chat and have begun the search for a live chat outsourcing partner to help you along the way. This post is here to help you understand the differences between various outsourcing partners and how you can pick the best one for you. But Jonny, aren’t YOU part of a company that outsources live chat? Why would I take biased advice from you? Good question dear reader. Yes, we do offer live chat outsourcing. Are we right for everyone? Nope. We want to work with businesses who are a great fit for us so if reading this article helps you to decide what partner you need and it turns out it’s not us, that’s cool! Live chat is awesome and I’d like every site to have it with it being run by the right people – whether that’s us, a competitor or an in house team. Hand on heart, pinky promise. Now, onwards! Outsourcing can be a scary decision. Right now, you’re doing your best to make sure you come out on top with the right partner for you. If live chat isn’t something you’ve used or outsourced before, where do you start when deciding how to pick your partner? I’m going to try and distill the thousands of conversations I’ve had with prospects and clients over the past 3 years to help you make the right choice. What’s your main reason for wanting live chat in the first place? Before we even get to different options for outsourcing, what you need to think about is why are you getting live chat in the first place? Unless you have a lot of time on your hands and cash to burn (if you do, feel free to get in touch – always happy to hang out) then you’re looking at live chat to solve a real business issue. So to help you decide what outsourcing partner is right for you, first we need to answer the question – why do you want live chat in the first place? Why do you want live chat in the first place? 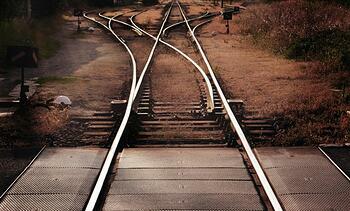 Pick the box that aligns most with what you’re looking to achieve with live chat as a tool. Now we need to understand why, based on your above answer, you’re looking at outsourcing rather than in house. Why are you looking at live chat outsourcing? Here we can start to get a picture of what you’re looking for when it comes to the kind of live chat outsourcing partner you need. For the next stage we’re going to look at mapping your selected quadrant to a type of supplier. To keep things simple, I’ve used two core axis – Value and Cost. Cost is pretty self explanatory, high cost means you’ll pay a bit more, low cost a bit less. Based on your answer to the first two 4×4’s, it’s likely that the below table outlines the types of characteristics you should look for when selecting the perfect partner. To give you some more context, the companies in the quadrants above likely have some or all of the following characteristics. So, we now have an idea of the kind of outsourcing partner you’re looking for and the kind of characteristics associated with them. Whether you’re looking for high cost or low value or any of the other two options, it’s always important to check that your preferred partner is right for your expected quality. As we discussed earlier, you can have low cost / value providers who have good quality to deliver on those requirements. You can have terrible high cost / value requirements and all the rest in between. Live chat is an incredible tool. Like any tool, it’s success or failure depends on the way it’s used. If you’re considering live chat outsourcing, be clear on what you need live chat to do for you. A lot of people I speak to say they are looking to outsource live chat for one main reason – I have no one else to do it. That’s a fair enough reason and of course it makes sense, but that’s actually the effect of the problem and not the core issue. It is the size and scale of the issue you’re trying to solve that should determine what live chat outsourcing partner is right for you not the fact you have no one to do it. Outsourcing at its best should be about working with someone who can add the right amount of value whilst doing it in a cost effective way, not just someone that can provide bums on seats. 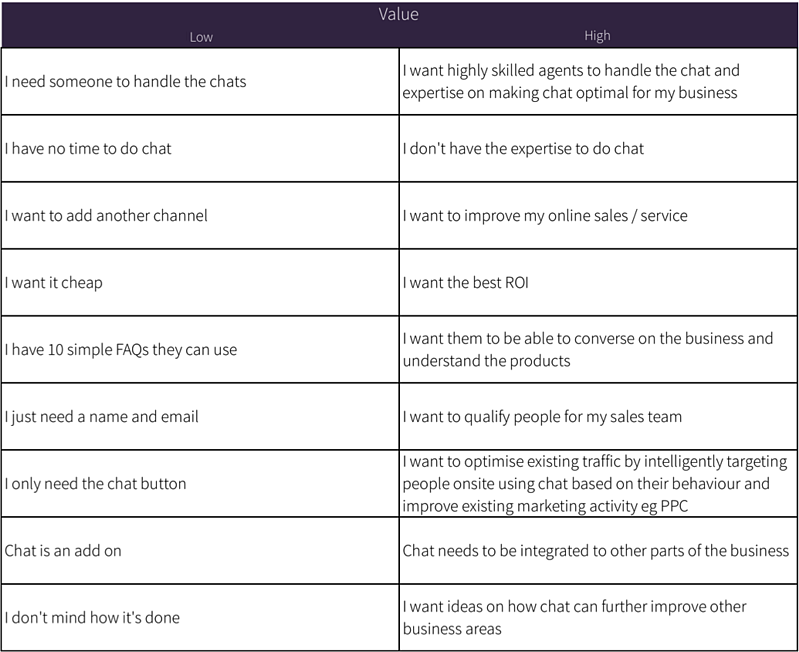 Chat offers an amazing opportunity to create inspiring conversations that deliver tangible value to your business. Whatever partner you choose to work with, I wish you the best of the luck with your journey – it’s a huge step to being a more customer centric business.